I read this article and found it very interesting, thought it might be something for you. The article is called Frequently Asked Questions and is located at https://www.sampsoncc.edu/financial-aid/faqs/. There are two main types of financial aid: 1) Gift Aid and 2) Self-Help Aid. Gift Aid consists of grants and scholarships. This gift money usually does not have to be repaid as long as the requirements placed on the student are met. Self-Help Aid includes loans and work-study. Students are responsible for repaying funds borrowed or working for wages through a campus-designated position. No. There is no charge to complete the FAFSA = Free Application for Federal Student Aid.  Complete and submit the Sampson Community College Admissions Application. Students MUST use the same name and mailing address on the admissions application and the FAFSA (Free Application for Federal Student Aid). The Financial Aid Office will not be able to notify students of their financial aid status until the admissions application is on file in the Admissions Office. Setup a Federal Student Aid ID (FSA ID) before beginning your FAFSA application. You will apply at http://fsaid.ed.gov . The FSA ID is used to log into Federal Student Aid’s online application and used to sign legal documents electronically. It replaces the Federal Student Aid PIN. A FSA ID is needed for the student and for one parent. Gather the following documents required to complete the FAFSA. **DO NOT USE** www.fafsa.com it is a scam and requires students to pay a fee! What is Sampson Community College’s School Code? How do I know if I am classified as a Dependent Student? If the student meets all of the above, both the student’s information and your parent(s)’ information must be used when applying for aid. Click here to learn more about dependency status. Can I apply for Financial Aid on the phone? YES. Students that do not have internet service may call the Federal Student Aid Information Center (FSAIC) at 1-800-4-FED-AID (1-800-433-3243) and receive assistance from customer service representatives in completing the FAFSA. Students should have the required information available to give to the representative. The application process on the phone takes approximately 30 minutes. How long does it take for the processing center to process the FAFSA and what happens next? If students provided an email address, an electronic acknowledgement to the email address should be sent within two weeks after submitting the FAFSA online or after the printed signature page was mailed. If no email address was provided, a Student Aid Report (SAR) will be mailed to the student. Once the student is notified, the student, and parents if required, must review the processed information for accuracy. If electronic corrections need to be made, students must access www.fafsa.ed.gov and go to Step 3: Make Corrections to a Processed FAFSA. Students that received a SAR in the mail must make corrections on the SAR, provide the required signature(s) and mail to the address listed. When will the College notify me of my Financial Aid status? Once the Financial Aid Office electronically receives the processed FAFSA information, the student will be notified via mail of your status. After the student and parents (if applicable) have submitted all required documents to the Financial Aid Office, students that are eligible for financial aid will be mailed a Financial Aid Award Letter. When and how often must I apply for Financial Aid? Students must apply for financial aid each year. It is best to renew the FAFSA as soon as possible. Beginning in the fall 2016 year, a student can complete their FAFSA application as early as October 1st. However, the SCC Financial Aid Office will not be able to process these applications for the upcoming year until early spring. Who should I contact if I have questions or problems regarding the FAFSA? Calling 1-800-4-FED-AID (1-800-433-3243). If you are hearing impaired call the TTY line at 1-800-730-8913. Click here to ask a live agent your questions via a web chat. Live customer service is also available throughout the application by selecting the “Live Help” link at the top of most application pages. Can I get help filling out the FAFSA? YES. Call 1-800-4-FED-AID (1-800-433-3243) for a customer service representative to answer any questions. Also, an Academic Advisor from the Educational Opportunity Centers Program sponsored through Fayetteville State University is available on the Sampson Community College campus several times during the week. A copy of the Academic Advisor’s schedule is available in Student Services located in North Building or click here to view the schedule now. What programs of study at SCC are eligible for Federal Student Aid? Currently all Associate Degree and Diploma programs are eligible, but only certain certificate programs meet the eligibility criteria. The certificate programs must contain at least 16 credit hours to be eligible for federal aid. How will I know how much Financial Aid I have been awarded? Once your admissions requirements and financial aid file is complete, an award letter will be mailed specifying your amount and type of financial aid awarded. How do I use my Financial Aid when I register? Students are allowed to apply their financial aid towards tuition, fees, books, and supplies when registering for classes. If students do not have sufficient financial aid funds to cover their expenses, the student must pay the balance owed before attending class(es). Can a student be enrolled at Sampson Community College and another college during the same semester and receive Financial Aid at both colleges? NO. The US Department of Education will not allow a student to receive financial aid at two schools during the same semester. If a student plans to enroll at another college while attending SCC, the student must pay the tuition, fees, books, and supplies at the visiting college. Then the student must bring the registration form and receipt from the visiting college to the SCC Financial Aid Office. The Director of Financial Aid will submit a consortium agreement to the visiting college to verify enrollment and increase the student’s financial aid eligibility based on the total number of credit hours enrolled. When and how is Financial Aid disbursed? The balance of each student’s Financial Aid Excess Check will be disbursed at the 30% of each semester. Students must go to the Finance Office on the designated dates and present their SCC picture identification to receive their check. How is attendance verified for Financial Aid students? In order to receive a Pell refund check, a student must attend all semester classes. Class attendance is verified via drop/withdrawal forms submitted by the instructor(s) and the student. After class attendance has been verified the Financial Aid Office will process a student’s award based on the total credit hours enrolled at the time of payment. What if my files are incomplete by the time the semester starts? The Financial aid Staff will exert every effort to complete student financial aid files prior to the start of the semester. All students who wish to apply for financial aid should start the process at least eight weeks prior to the start of the semester. For students which apply just before registration may not have their financial aid processed by the US Department of Education in adequate time for the information to be received in the Financial Aid Office. Once the processed financial aid information is received in the Financial Aid Office, federal policies and procedures must be performed in determining the student’s eligibility status. Therefore, students that fall in this category are required to pay their registration and bookstore expenses on registration day, and are not allowed to enter class(es) until the full payment is made. Am I required to maintain a certain GPA or complete a certain amount of hours to continue to receive Financial Aid? YES. Sampson Community College requires all students to maintain a cumulative grade point average (GPA) of 2.00 at the end of each semester. The Financial Aid Policies at SCC also requires students to maintain a 2.00 GPA at the end of each semester, AND students must pass 67% of the attempted registered credit hours each semester. Example of a student on ACADEMIC WARNING and ACADEMIC PROBATION. Student registers for 12 credit hours and is withdrawn from 5 credit hours. The total hours completed is 7 (12 credit hours x .67 = 8 credit hours completed). The 7 hours completed is less than the 8 required hours to be passed; therefore the student is placed on ACADEMIC WARNING. Student registers for 12 credit hours and passes all 12 credit hours. However, the cumulative GPA is now less than 2.00. The student is placed on ACADEMIC WARNING. Once being placed on Academic Warning, the student has one semester to correct the reason(s) identified above to maintain Satisfactory Academic Progress. Students can receive financial assistance during the Academic Warning period. If the student does not make satisfactory academic progress during this warning period, the student will be then be placed on Academic Probation. During the next semester of enrollment, the above student passed more than 67% of the credit hours and brought the cumulative GPA to 2.80. The student passed all requirements and is no longer on Academic Warning. During the next semester of enrollment, the student’s cumulative GPA went down to 1.5. The student is now placed on ACADEMIC PROBATION and is not eligible for financial aid. Students on Academic Probation are ineligible for Federal, State, and Institutional financial aid programs. Also students on Academic Probation will have a restriction placed on their account by the Financial Aid Office. Before a student on Academic Probation can register for an upcoming semester, the student must schedule an appointment with a Counselor in Student Services to discuss their educational plans and the Satisfactory Academic Progress Standards that are set forth by the College. The restriction will be removed from the student’s account after confirmation of counseling with the Student Services Counselor. For more information on the Satisfactory Academic Progress, please refer to ”Standards of Academic Progress for Financial Aid Recipients” in the current edition of the SCC Catalog and Student Handbook. What happens if I don’t finish a term in which I receive Financial Aid? The US Department of Education requires all students that receive federal financial aid to complete a minimum of 60% of the semester. Therefore, for students that completely withdraw from all classes or that stop attending all classes will be required to repay a portion of the financial aid funds that he/she received. The college is required to repay a portion of monies on the student’s behalf, and the student also may be required to repay the US Department of Education. After the Financial Aid Office has received confirmation that a student has withdrawn before the 60% point of the semester, the necessary paperwork is completed and submitted to the Finance Office. The Finance Office places a restriction on the student’s account which prevents the student from registering for an upcoming semester, receiving a transcript, or receiving other services from the College until the total balance is repaid to the College. For students that owe the US Department of Education a balance in excess of $50, the Financial Aid Office notifies the USDOE, and enters the student’s information of the National Student Loan Database System. Once notified, these agencies place a restriction on the student which prevents the student from receiving financial aid at any college in the United States. Students are also flagged when applying for credit for loans, and will have tax refunds garnished to repay these overpayments. When is the SCC Foundation Scholarship Application Available? The SCC Scholarship Application is accessible on our website and is made available in September of each year. It is open to all individuals who plan to enroll as full-time students at SCC in the following academic year (fall/spring semesters). Completing this single application will make you eligible for all Foundation scholarship awards you qualify for. If awarded, recipients will be notified via mail in June or as soon as all scholarships have been awarded. Students planning to attend SCC in the fall after high school graduation, should complete the online application during their senior year. Contact your high school guidance counselor for more information. Scholarships for incoming high school graduates will be announced at the respective high school awards programs. Application deadline is April 15th of each year. Click here to compete the SCC Foundation Scholarship Application.